Prior to getting involved in the local food systems in West Virginia the last few years I had little awareness that there were forms of milk available beyond what I purchased at my local grocery store. Like everything else in my diet at the time, I shopped primarily by price. So even though I had a lot of fresh produce, I learned as I gathered more information, I was eating a lot of……well, not healthy options. When The Wild Ramp Market in Huntington, West Virginia, began to carry dairy products from Snowville Creamery I purchased some milk and some whipping cream to try. While my son at first did not like the fact it was not homogenized and therefore needed to be shaken before pouring, he changed his attitude when he accompanied me on my Producer visit for the market. I had already noticed some remarkable differences not only in how the whipped cream I made tasted but how the ice cream I prepared was vastly superior to anything I had made at home before. 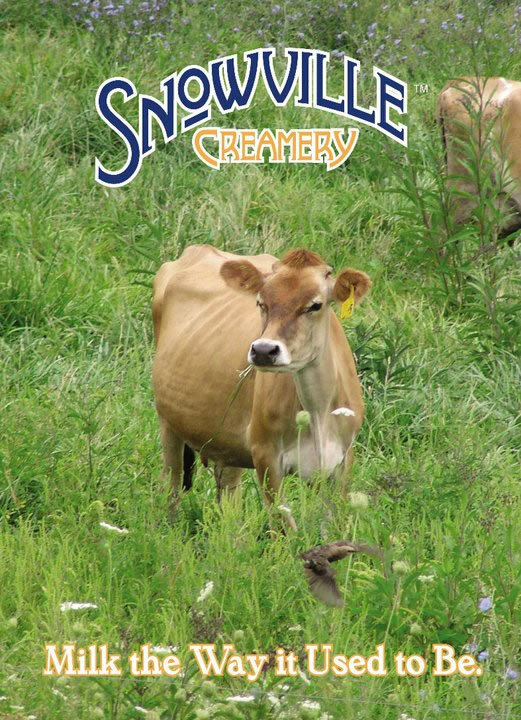 Snowville uses the low-pasteurization method. Permitted by law, the process brings the milk to the required high temperature very quickly and brings it back down very quickly. That aspect of processing, as well as the lower temperature than what the large commercial creameries use when processing milk, makes for an amazing taste difference. It also does not remove as many of the natural positive nature of the original raw milk compared to the high temperature pasteurization used to process milk for the longer shelf life that is part of grocery store sales. Understand that pasteurization, the heating of the raw milk to remove harmful bacteria, only started about 100 years ago. Until that time all people drank raw milk. However, as more and more people moved from the farms into the cities in the late 1800s and early 1900s, milk got older and possibly not stored safely before purchase and consumption by city residents, permitting harmful bacteria to grow. 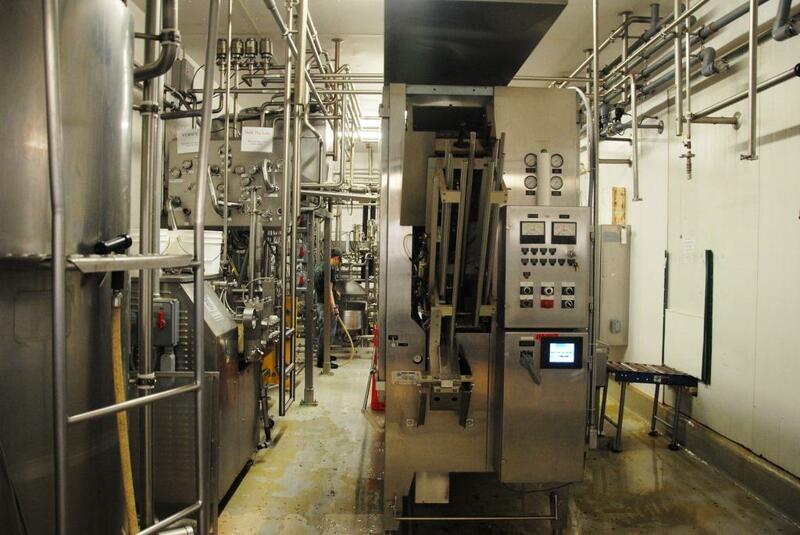 You can read more about pasteurization here. The raw milk option is getting more attention now. Over 28 states now permit the sale although some, like Oregon, currently have restrictions on advertising. 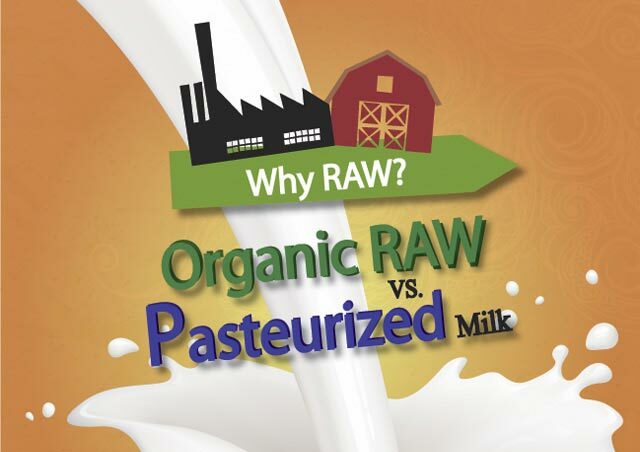 Proponents of raw milk say it is safe to drink if handled well and contains enzymes that help in digestion as well as retains all vitamins that get affected and diminished through the pasteurization process. 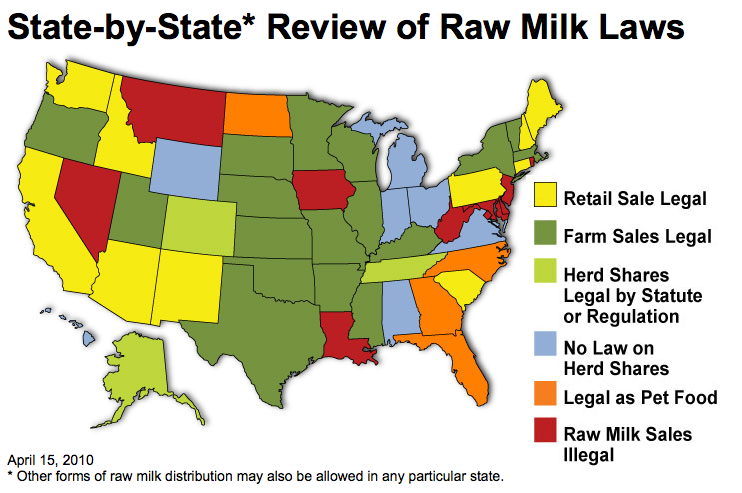 A list of farms that provide raw milk is available on http://www.realmilk.com/real-milk-finder/ . You can click on your state to find a farm near your home. And then , act on it. By supporting the production of raw milk, you help increase its availability. One local farmer in McMinnville requires any person who wants to purchase raw milk from her to take a tour of the farm so they have a better understanding of how the herd is managed and how the milk is handled. She charges for her time and has a waiting list for her milk. However, she currently is being prosecuted by the State of Oregon for spreading the word that she sells raw cow’s milk and The Institute for Justice is helping her. This entry was posted in consumer demand, dairy, education, health, ice cream, Local food, local food stystem, milk, nutrition and tagged consumer interest', farm, flavor, health, laws, nutrition, raw milk. Bookmark the permalink. Not quite accurate, because you ignore goat milk. Raw goats milk can be sold in stores in Oregon by licensed dairies. Stores in the larger cities do carry it, the co-ops and natural foods stores, no box stores. Because it is very difficult to get liability insurance, very few will do it. Thanks for adding the information about the raw goat’s milk here in Oregon.